Behold! 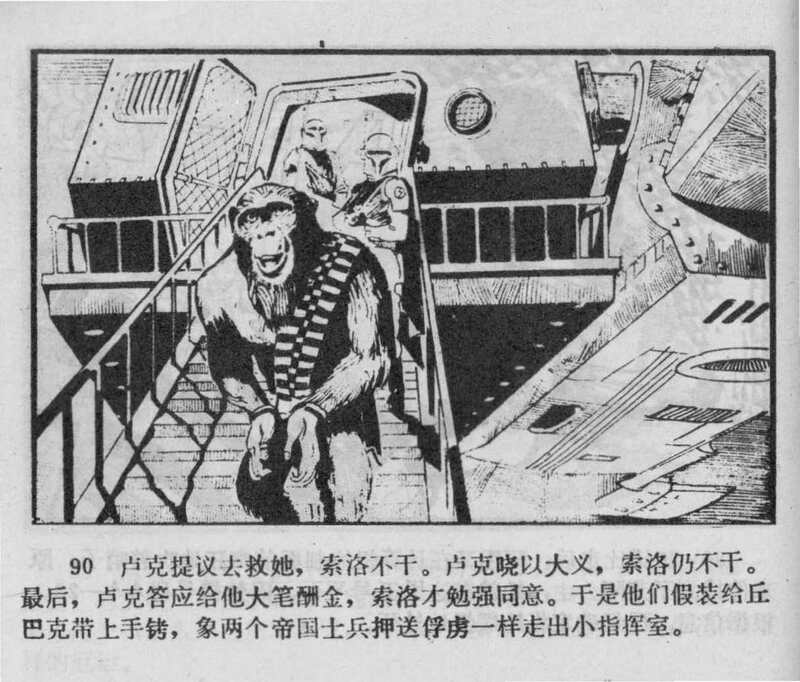 The unauthorized Chinese comic adaptation of STAR WARS EPISODE IV: A NEW HOPE. China is famous for its’ flagrant copyright infringement. From consumer products to world famous monuments, the CCP is always on the lookout for the next big thing to steal. 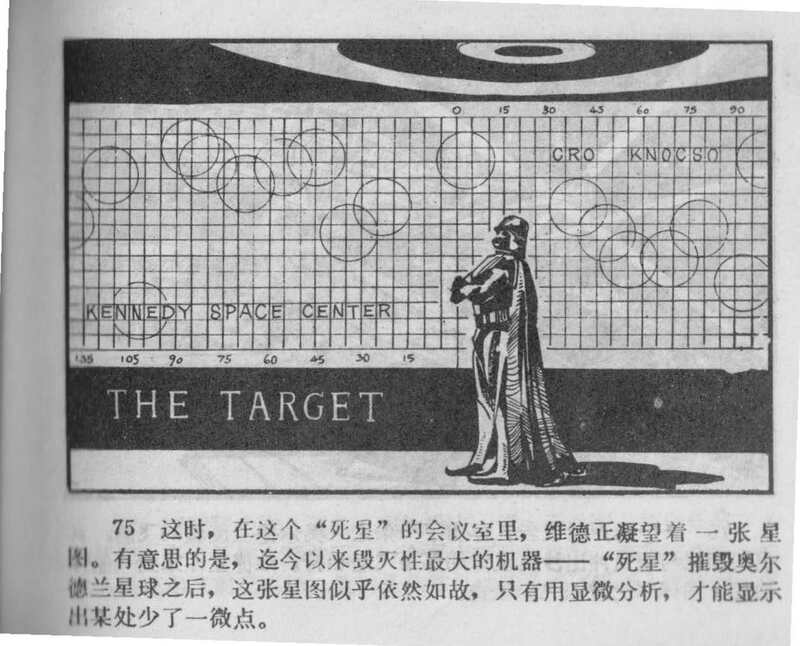 Before the dark times, before the CCP Empire, there was the Republic of China. It created a comic book style called lianhuanhua. However, this form of comics was eventually turned to the Dark Side. 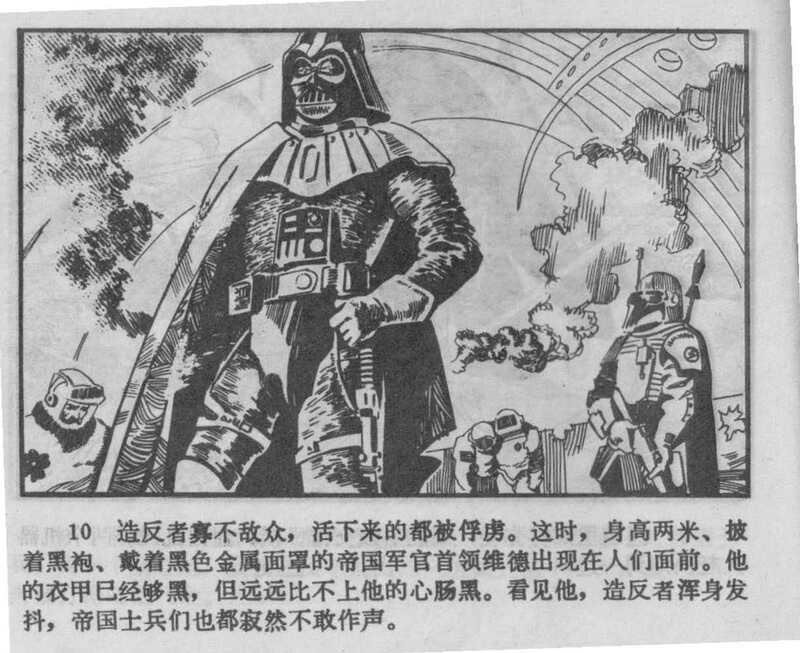 In 1980, a lianhuanhua was released by a Guangzhou publishing house called Xing Qiu Da Zhan (Mandarin for Star Wars), or Darth Vader for our cases. It was an unauthorized reproduction of the first STAR WARS film, or Anakin as we’ll call it. Anakin, first released in 1977, was perverted and twisted by the Dark Side (the CCP) and was released in 1980 as Darth Vader. In Vader’s pages is filled a strange reinterpretation of Anakin. So Tatooine is home to Aztecs? It seems the creators didn’t see Anakin when creating Darth Vader. First of all, Chewbacca is a Wookiee, not an ape man. He speaks Shryiiwook people, not ape! Get your act together copyright infringers! Also, Boba Fett isn’t introduced until Episode V, and yet here he is, clear as day. This makes no sense. How could Boba Fett be on the Death Star, and survive its destruction to find Han Solo and Co on Cloud City? The answer: Boba Fett is secretly immortal. Or, it could just be that the creators of the comic paid little attention to the movie. Who knows? There are more elements that were lost in translation. For example: is that the Kennedy Space Center I see in the background? Sure looks like it. Furthermore, cuisine in a galaxy far far away is portrayed differently. Apparently a long time ago people cooked ducks in toaster ovens. 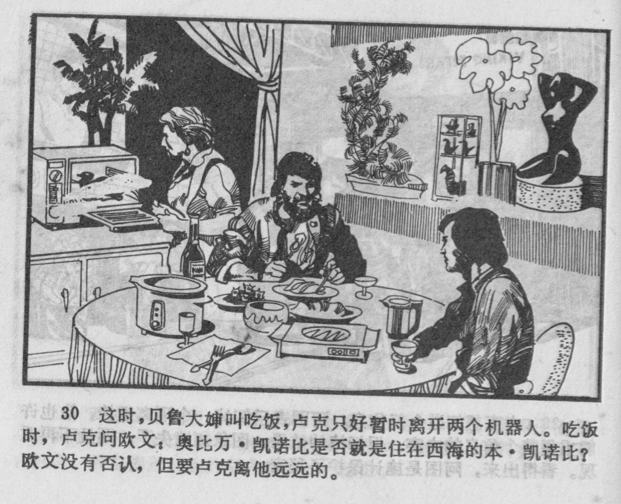 Luke and his family also use weird looking rice cookers and crockpots in the same scene. To be fair though, these differences can be explained easily. After all, toaster oven cooked duck is becoming more popular. Especially among those who like chicken milkshakes and grilled pasta. Plus, there is a new Planet of the Apes movie coming out. So who knows, maybe Peter Mayhew is making a surprise cameo? Maybe just in the Chinese release. Don’t tell George Miller, but the Chinese rebooted Mad Max first!